Coastal decor is all the rage these days. Unique shells and other items found while strolling down a serene shoreline are some of my favorite things to decorate with. The worn look of driftwood is a classic way to display rustic beauty with the latest beachy vibe. 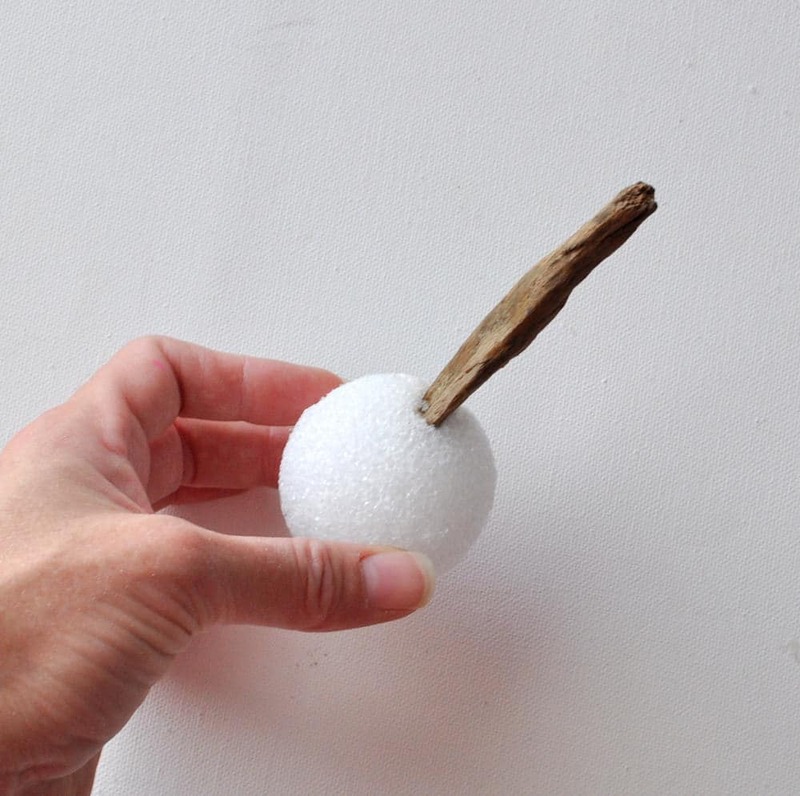 Let me show you how to make this simple but beautiful decorative orb using a foam ball and driftwood chips. 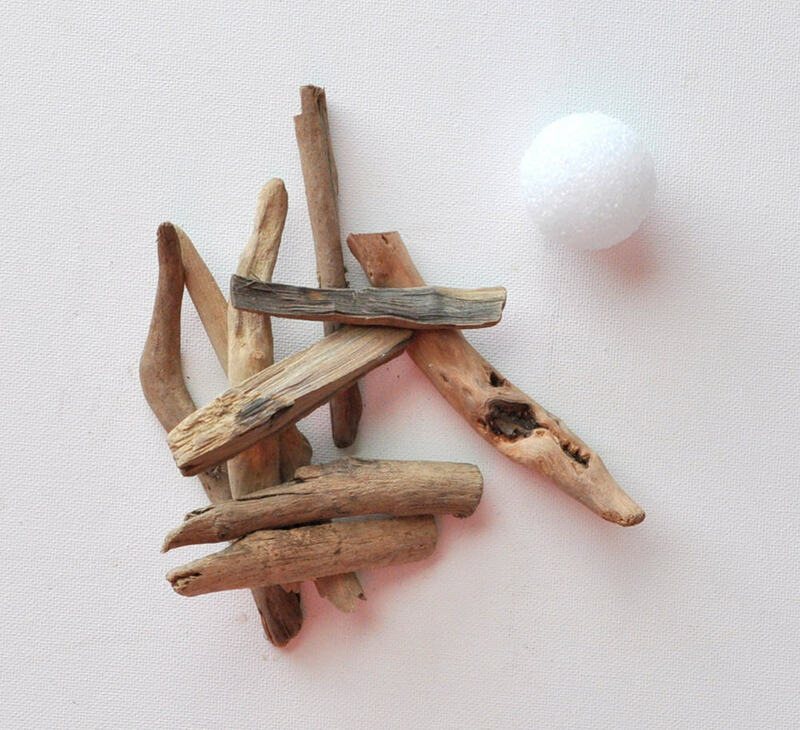 Separate the driftwood out on a table by size and length. Press the wood gently into the foam ball to make an area for the wood to fit snug. Add glue to the end of the wood then press the it back into the hole you created in the foam. Hold each piece of wood until the glue is dry. Continue gluing the longest pieces of driftwood first, equally spacing them around the foam ball. 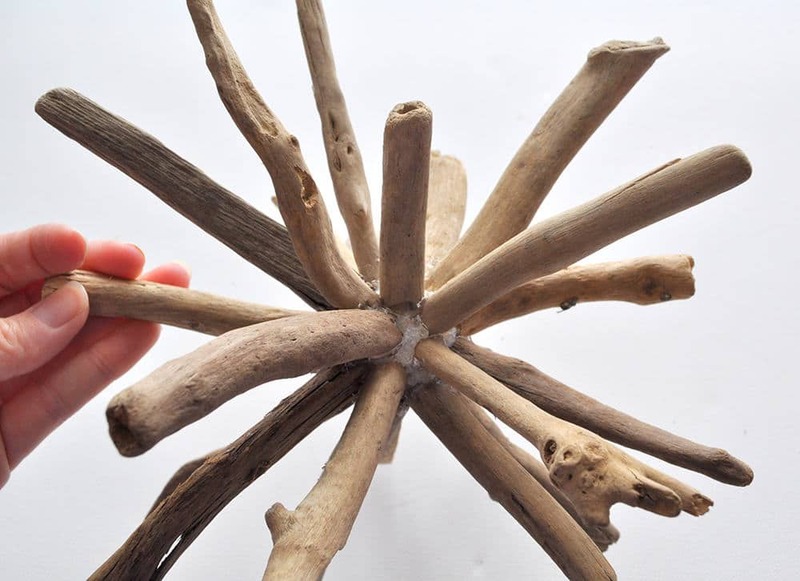 Fill in empty areas with thicker, shorter driftwood pieces and continue until you no longer see any foam. Tip: Paint your foam ball first to match the wood to camouflage the foam completely. 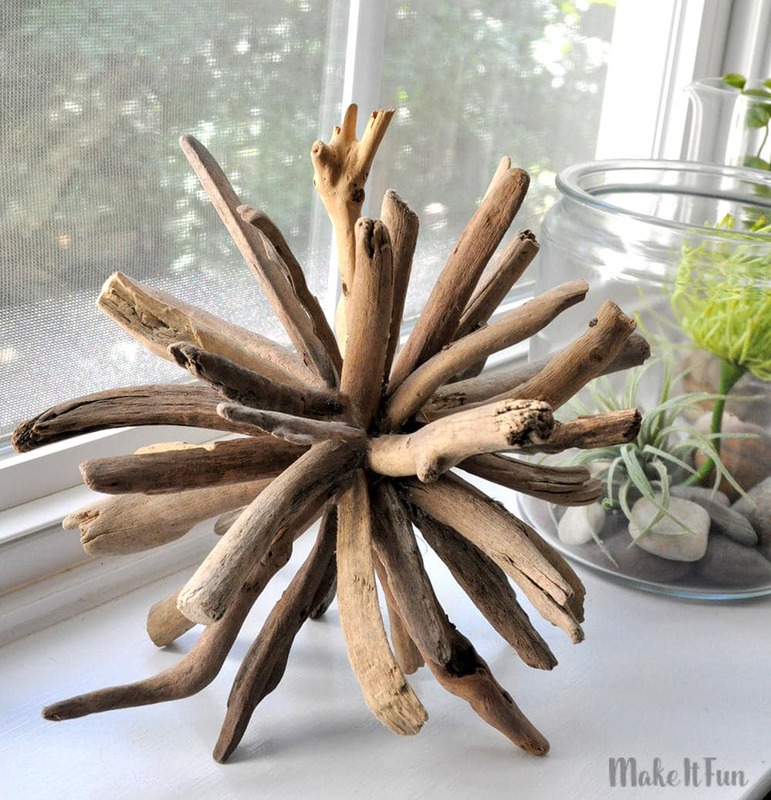 Add small, thin driftwood pieces to fill in narrow areas of the ball and make the orb more dense. Display your orb and enjoy! 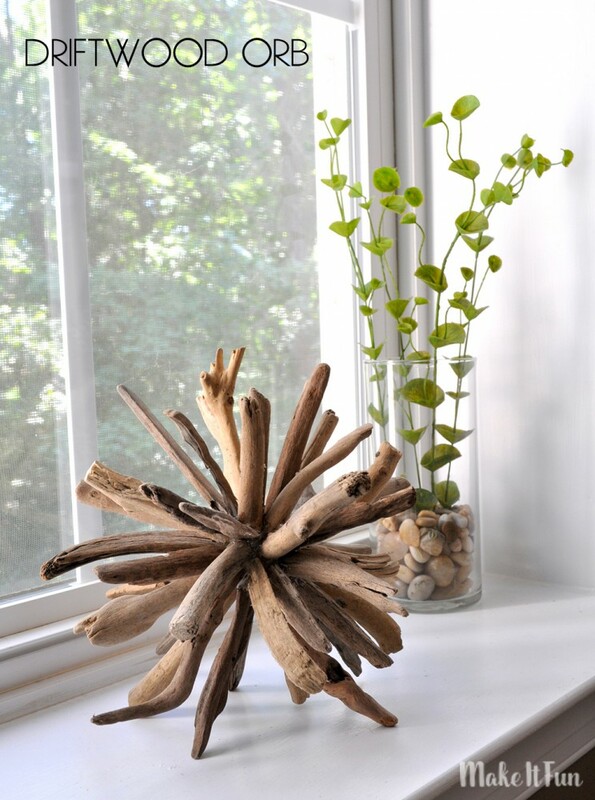 The Driftwood Orb is sure to be an on trend addition to your home and a great conversation piece. August 26, 2016 /1 Comment/by Kim P.